Roughly 90% of all future innovation in the car will take place in the electric/electronic area as the number of lines of code in vehicles could grow to 300 million from the 50 million to 100 million they have today. Daimler got lucky with Marcela Craciunescu. Five years ago, the Romanian software developer had been at Alcatel-Lucent developing a fourth-generation mobile network for the U.S. telecommunications companies in Timisoara. Craciunescu’s sister, who had moved to Stuttgart from Romania, suggested she consider working for the city’s best-known company, Daimler. While Craciunescu didn’t speak any German, the programmer was looking for a change and found herself typing in the company’s Internet address. It was here that she hoped to find the answer to her most burning question: What is Daimler? When she learned that it was the parent of premium brand Mercedes-Benz, her curiosity was piqued. She decided to apply for a role as a systems developer -- not at the automaker, but at the group’s captive financial services business. “They were impressed that I was more interested in the position itself than simply working for Daimler,” she recalled in Stockholm last September during the Me Convention, which was co-sponsored by Mercedes. But are these just superficial attempts to change investor perceptions and to appear trendy? To better understand where the car industry stood in relation to other industries, consultancy Bearing Point conducted a survey among automotive executives across Europe, the U.S. and Asia. It then mapped their comments against those from counterparts in the telecommunications, banking and tech sectors. VW Group CEO Herbert Diess is leading a “massive expansion” of the automaker’s software expertise. Remarkably, more than half of the car executives still believe they could win the “battle for the dashboard” against tech giants without the need for partners that can share investments, contribute IT assets and provide digital skills. Many others acknowledge they need alliances, but only temporarily as a stop-gap measure until the necessary expertise is acquired. “Those auto manufacturers that prefer to sit in their own walled garden thinking they can bring these guys in, control them and then throw them out in two years, they are the ones most at risk,” Bearing Point analyst Angus Ward said. Contrast this with companies such as Google that club together with rivals to co-innovate, which slashes capital requirements and time to market. “They [carmakers] have to beat the tech giants at the tech giants’ own game,” Ward said. Craciunescu’s story, however, is symbolic of the dilemma facing automakers. Even if they have finally discovered the “ecosystem,” not every software developer has discovered them. 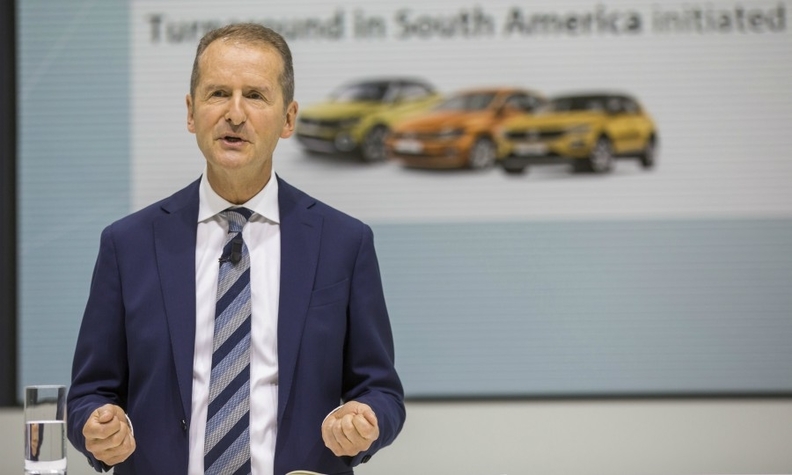 One of the first priorities of Herbert Diess after taking over as VW Group CEO last April was to address the skills shortage at Europe’s largest automaker. “There is no time to lose, especially when it comes to amassing digital know-how,” Diess said last August, calling for a “massive expansion of our software expertise.” Roughly 90 percent of all future innovation in the car will take place in the electric/electronic area. The bulk of that will be in software, according to VW Group. This field will increasingly be a competitive differentiator as the number of lines of code in vehicles could grow to 300 million from the 50 million to 100 million they have today. This doesn’t even include all the IT systems needed to provide connected services outside the car. The problem in Wolfsburg is that VW Group has about 10,000 engineers, but only a few hundred programmers. “You need people who can migrate to SAP Hana [database management system], who can work in cloud computing and who are proficient with artificial intelligence,” VW Group Chief Information Officer Martin Hofmann said. “The skills shortage is a problem that is growing exponentially.” This wasn’t really an issue in the past because carmakers tended to contract out software development to third parties. But now Hofmann is bringing some of this work in-house, in part to react faster to customer demands, for example for app-enabled services. “Under a conventional tender, there are specific processes and compliance that need to be observed. By the time a contract can be awarded, six or seven months will have already expired before work could even begin,” he said. 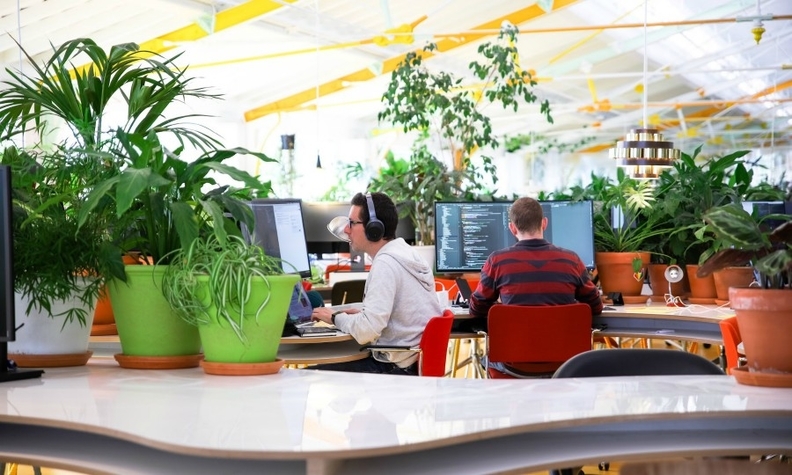 Daimler calls its software center in Lisbon, Portugal, “The Jungle” because workers share the office with more than 1,000 plants. From a vehicle IT perspective, an area for which the brands themselves are responsible for rather than the group, greater in-house expertise would also help to reduce procurement costs. The share of software in an electronic control unit, for example, makes up 25 percent of the cost and that figure is expected to increase in the future. Further costs come from integrating the various ECUs and time is spent removing the inevitable bugs that arise. VW aims to reduce that by developing the software and hardware separately. That way replacing one doesn’t force VW to change the other. In Davos, Diess added that VW Group will separate software and hardware development at the board level to “really speed up the software focus” at the automaker. To better control vehicle IT as automobiles become connected, the VW Group recently spent about 110 million euros to buy a controlling 75 percent stake in truckmaker Volvo Group’s WirelessCar unit. Acquiring tech companies, however, can entail high execution risk. Valuations can soar, negotiations can break down, or other bidders can join the fray. For that reason, simply buying economic interests in several providers is not a viable strategy to master the transition. The core business needs to adapt, too, and software expertise must be developed in-house if carmakers are to remain competitive. To ensure that their employees think more like workers at tech companies, the entire mindset has to change. That’s where people such as Ludwig Maul enter. Formerly an engineer at Porsche, this digital evangelist joined a Daimler subsidiary created to marshal the combined ingenuity of the company’s entire workforce to help with the tech transformation. “At Porsche, I built up a small virtual community of 200 employees where we discussed technical issues, and I loved the idea of encouraging others throughout Daimler to get involved and spur technical innovation,” said Maul, who worked at [email protected] until late 2018. He is now with toy maker Lego. DigitalLife aims to link employees with entrepreneurial ideas to coaches at the company’s own startup incubator, Lab1886, to help bring their concept to fruition. DigitalLife also performs outreach in the programming community, sponsoring 24-hour hackathons. One promising team wanted to help advise customers configuring a new Mercedes X-class pickup. Using a popular Java script called C-sharp, they programmed an online chatbot, a digital assistant capable of teaching itself how to better answer customer queries. Volkswagen has taken a somewhat different approach, founding late last year Faculty 73 to teach employees who have completed vocational training at VW how to develop software if they exhibit an affinity for IT. The best programmers, after all, share a key trait with automotive engineers and mechanics: they have the mind of a tinkerer, said Pablos Holman, a futurist invited to speak at the Me Convention in Stockholm. Given a device, whether it’s a smartphone or engine block, they don’t ask what it does but instead pick it apart to find out what problems they can solve with it. “No one ever invented anything by following the instructions,” Holman said. Sequeira will have even more competition to battle. To provide content for its upcoming ecosystem, VW just opened its largest software development center worldwide in the historic Rato district in central Lisbon, practically next door to The Jungle. The 300 jobs that need to be filled are more than the combined total that VW has at German software centers in Berlin, Wolfsburg, Dresden and in Pune, India.. Even Portugal’s head of state came to help open the new VW site. “The traditional thinking among carmakers in the past years was that people should go to work where we have the assembly plants. In the digital economy, however, you have to go to the people.” VW’s Hofmann said. Everything is about ecosystems today, but there is often confusion about what this word actually means. In technical terms, ecosystems are digital platforms where the hardware plays a subservient role to the software that runs off of massive server farms known as the cloud. The Android operating system found on a range of interchangeable mobile handsets such as the Samsung Galaxy smartphone underpin Google’s ecosystem. Another way to think of them is as a type of shopping mall, built not out of bricks and mortar but bits and bytes. 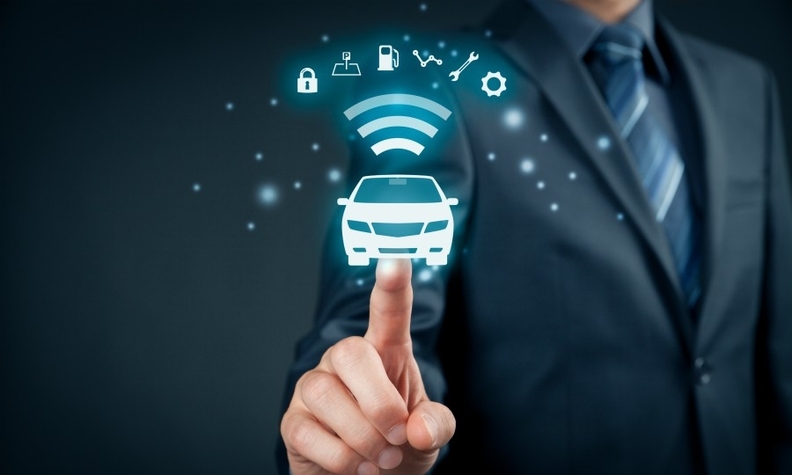 In the automotive world, many partners including dealers, mechanics, mobility providers and others would share a symbiotic relationship built around an automaker’s vehicle as the core access point. Via a single convenient login, a consumer can access a virtual world of one-stop shopping where they consume news and entertainment or purchase goods or services from various vendors. Like a mall, ecosystems flourish when there is a lot of traffic. The more potential customers there are, the more developers are attracted. For example, the full potential of the Apple iPhone’s connectivity was truly harnessed only after countless third parties started developing content for the App store. Volkswagen Group’s flagship VW brand may have the “most ambitious” approach to ecosystems, according to Martin Rossell, who is CEO of the automaker’s new subsidiary, WirelessCar. The carmaker plans to host its own ecosystem that will debut with the launch of the new VW Golf. VW expects it will eventually pull in 5 million new users a year. Beyond the potential for new revenue, which VW estimates will be in the billions of euros annually, the ecosystem also helps reinforce the customer relationship with the brand. Despite the skills shortage, VW won’t take just any developers. Candidates are tested on social integration to ensure they possess highly interactive communication skills. Lone hackers working out of their basement need not apply. That’s because VW’s developers spend their days working in tandem to avoid errors -- one codes while the other constantly double checks the work, and after three hours they switch roles, a method called “extreme programming” taught to VW by California-based tech firm Pivotal. This means there is no home office and no flexible working hours. Employees are expected to arrive at 8 a.m. and punch out punctually at 5 p.m. since efficiency drops off when working longer. Distractions that might impede productivity are eliminated. There is no email access, phone calls are discouraged and web browsers can only call up a limited number of sites. “This isn’t North Korea,” Hofmann quipped. “It’s a software factory.” In total, Hofmann aims to have 2,000 VW developers around the world designing software for app-based digital services.